As the 2946 Intergalactic Aerospace Expo comes to a close, we’d like to thank all the exhibitors, manufacturers, performers and guests for making this year’s event one of the best on record. We would also like to show our appreciation to the Kiel Governors’ Council for their continued support. But even more importantly, we would like to thank every person who came to Eri City to join us and to the millions more who participated over the spectrum. It’s because of all of you that all of this is possible. However, even as we take a step back to appreciate the amazing time we had this past week, we have already begun to plan for the 2947 Expo. Our goal is to find new ways to make it bigger and better with more ships, more components, more exclusive announcements and more ways to celebrate all things sky and stars. We sincerely hope you have enjoyed your time with us, and until next year, fly safe. We’re continuing our annual tradition of offering a limited number of Aurora starter packages with a special discount. Join us in the ‘Verse today! The following ships will be available in Star Citizen Alpha 2.6 and will be available throughout the week. The lineup includes the Herald information runner, the 85X luxury runabout and the modular Caterpillar transport. You can learn more about all three ships in the video below. It’s hard to think that it’s been over 800 years since RSI revealed the Zeus and forever altered Human history by making space travel available to the masses. A lot has changed since those early days, but RSI’s commitment to producing excellent and reliable spacecraft has not. From our award-winning Aurora to the iconic Constellation, RSI has a spaceship to fit your needs. Yet, we don’t let our extensive experience keep us from innovating. Constant upgrades and improvements have kept RSI ships on the cutting edge for centuries. To put it simply, we know what it takes to make a great ship because nobody’s done it as long as us. RSI is thrilled to be a part of the Intergalactic Aerospace Expo to not only celebrate our proud history of “Delivering the Stars” but to show you all we have planned for the years to come. 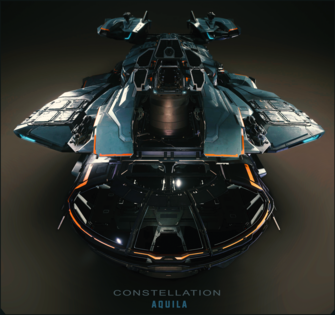 The Constellation Aquila is undergoing her final space trials with plans to launch for Star Citizen Alpha 3.0. The RSI Orion mining platform is still in the concept stage, but will enter production as we roll out larger mining mechanics. The current set of Aurora starters will receive a polish pass to bring them to the current standard for flight ready ships and the remaining two Constellation models, the Taurus transport and the Phoenix luxury ship, are scheduled to have their flight passes in the coming months. This introductory collection of ships from Roberts Space Industries features an Aurora CL and Constellation Aquila. Everything you need to get around this system and the next. Featuring a full range of ships from Roberts Space Industries, this select package offers something for everyone from luxurious rides to hardworking hulls. Created as part of the ‘Masters of Flight’ series in conjunction with the flight-sim Arena Commander, the Valiant pays tribute to famed defense pilot Condi Hillard for being the first Human on record to defeat a Vanduul in combat. This Gladius comes equipped with a specialized dogfighting focused loadout and a custom special edition livery honoring her iconic ship. Drake Interplanetary continues to defy expectations. When the original Cutlass design lost out on a government contract, we brought it to the civilian market to great success. When the critics claimed no one would buy the Dragonfly because flying it “looked dangerous”, we broke sale records for open canopy ships. With every year they attend the Expo, Drake’s line up grows more dynamic and diverse. From hauling cargo with the Caterpillar and info with the Herald, to protecting convoys with the Cutlass and Buccaneer, and speeding above planet surfaces on a Dragonfly, we make sure that you can live the life you want to lead. 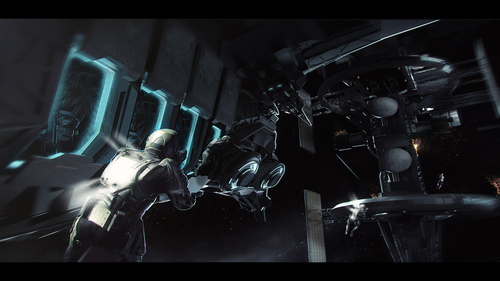 The Cutlass Black is currently flight ready and the Caterpillar and Herald will join it in Star Citizen Alpha 2.6. The Black is also undergoing a major overhaul, which is almost complete. The Red and Blue variants will follow. Work on the Drake Dragonfly (in multiple colors!) 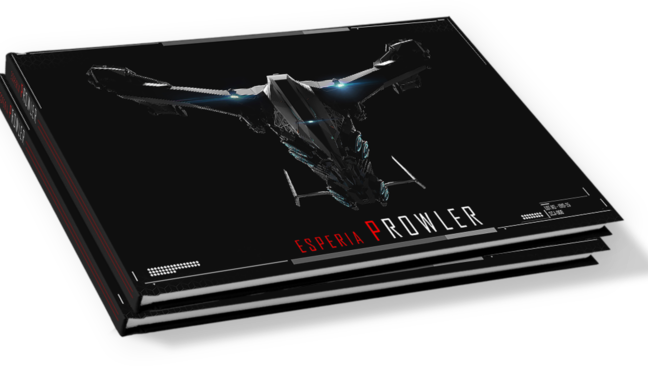 has been completed and it will launch alongside planetary exploration in Star Citizen Alpha 3.0. The Drake Buccaneer is undergoing initial modeling and will be one of our next targets for flight ready status. This introductory collection of ships from Drake Interplanetary, featuring a Dragonfly, Cutlass Black, and Caterpillar, would make for the perfect start for some enterprising entrepreneurs. Featuring a wide variety of ships from Drake’s stable, this select package offers not only the perfect way to move cargo and info through the ’verse, but great options to protect it as well. Simple and efficient design has been a MISC cornerstone from the very beginning. Formed in the Centauri System in 2805, the company started by producing heavy industrial machinery and bulk freighters, like the Hull series, that won acclaim for their durability and ease of use. As the company’s ambitions grew, so did their market share. Though some claimed the civilian ship field was saturated, MISC saw the chance to bring their signature style to a wider market. After signing an unprecedented lend lease agreement with the Xi’An, MISC began to incorporate incredible new xeno-tech into civilian ships like the Freelancer and Reliant. This blend of revolutionary, alien design along with MISC’s signature form and function is why the company has been deemed “the future of spaceflight” by the Terra Gazette. MISC is honored to be a part of this year’s Intergalactic Aerospace Expo, and excited to show off the ships we’ve worked so hard to perfect. MISC’s Starfarer tanker succesfully kicked off a number of Star Citizen’s mutlicrew and larger ship systems earlier this year; it’s flight ready in Crusader today. The base Freelancer and Reliant are also currently flyable. The Freelancer will recieve another pass to bring it up to the current standards, and the variants will be made flight ready as part of this process. The Reliant variants are also in development, although some of them will require additional game systems that have not yet gone live (such as the broadcasting system used in the news van.) The Hull series will serve as an important testbed for our cargo systems, with the Hull A and Hull C being built out as the ‘flagships’ of the line. The Hull B, D and E will follow, based on the artwork and the lessons learned on the first two. The Endeavor and modules are in concept, with additional implementation work planned for next year. MISC also has an unannounced concept ship in the works, aiming to place well in the 2947 Murray Cup! This introductory collection of ships from MISC is a great way to get any hauling company off on the right foot. No matter what you’ll need to transport, this package of dependable ships will have you covered. There is one thing true about all MISC ships and that is they work hard to help you work smart. This special collection features a wide variety of MISC to meet a wide variety of industrial needs and tackle almost any job. Created as part of the ‘Masters of Flight’ series in conjunction with the flight-sim Arena Commander, the Comet pays tribute to famed pilot Captain Kamur Dalion for his work with Aegis to usher in a new era of combat ship design. This Sabre comes equipped with a specialized dogfighting focused loadout and a custom special edition livery honoring this iconic ship. Since the company’s inception, the UEE has not waged a military campaign without Anvil Aerospace ships at the forefront. Ships like the Hornet and Gladiator have redefined the battlefield with the Hornet destroying more enemy hardware than all other active Navy space fighters combined. With such a strong track record and reputation, it’s no surprise Anvil has found success in the civilian markets too. Besides building iconic fighters, Anvil’s ship line-up has expanded to include long-range exploration and scanning ships, like the Carrack and Terrapin respectively, and even a dedicated repair ship, the Crucible. Despite the focus on different disciplines, each spacecraft has been expertly designed and built to last. If the UEE trusts Anvil Aerospace to protect the Empire, then you can trust it to protect yours. Anvil ships fight harder! The entire Hornet lineup and the Gladiator are flyable in Star Citizen Alpha 2.5, and the special edition variant will be added in 2.6. The military version of the Hornet, the F7A, was recently completed for use in Squadron 42. The Carrack, Crucible and Terrapin are in the concept phase and will move on to implementation shortly (likely in that order.) An additional Anvil design is in the works right now, a sturdy, older fighting ship. From patrolling a sector against Vanduul incursion to resolving a conflict with hostiles, this introductory collection of ships from Anvil is ready to tackle a variety of offensive and defensive missions. This collection of ships from Anvil is the perfect opportunity to own and fly the civilian versions of many of the spacecraft that the UEE Navy uses to defend our Empire. Space is a vast and diverse place, so why fly the same ship as everyone else? The Exotic Ship Manufacturers Council (ESMC) represents a wide range of companies producing everything from the ARGO utility vehicle to AopoA’s Khartu-Al. The Council’s goal is to raise awareness about the diverse array of ships being crafted throughout the universe. 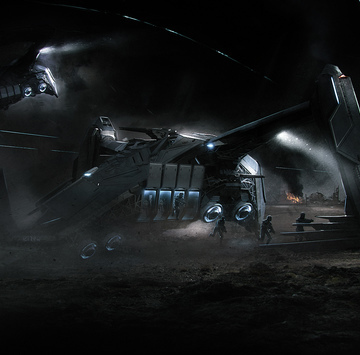 The ESMC was formed after the 2941 Intergalactic Aerospace Expo when Crusader Industries and Consolidated Outlands were unable to get space in the main Expo hall to display their ships. By uniting together and forming a coalition with other more unique manufactures they were able to return in 2942 and rent the entirety of the main hangar to highlight their diverse array of ships and vehicles. The alliance has stayed firm ever since, as the increased exposure has brought intriguing and unusual ships, like the Banu-crafted Merchantman, to a wider audience. The Merlin snub fighter, the Khartu-al, both Argos and the entire Mustang lineup are currently flyable in Star Citizen 2.5. The Merchantman, Archimedes and Starliner are awaiting resources for implementation. A third Argo module is in development, as are two further alien ships which will be offered on the human market. There has also been a great deal of discussion about Starliner options, although none of them are scheduled yet. This introductory collection features offerings from Kruger Intergalactic, Consolidated Outlands, and AopoA to fill your hangar with three of the fastest and most agile ships on offer from these unique manufacturers. The Exoctic Ship Manufacuter Council has selected a wide range of ships to offer as part of this collection that features ships from six separate manufacturers.